Beginning at 2pm The Watermill Center invites the public to Saturdays @ WMC. Activities will include a tour of The Watermill Center building and grounds, a movement class taught by New York City based dancer and teacher Blakeley White-McGuire and a workshop creating recycled material gardens led by local artist Laura Rozenberg in partnership with OLA of Eastern Long Island. The afternoon will conclude with a showing of work by Watermill Resident Artists Fanni Futterknecht and Marianne Vlaschits. Staged on the grounds of the center, their work in progress titled Metamorphic, is an animated garden performance installation. Please see below for more information about the workshops and performances on Saturday May 3rd at The Watermill Center. At 2pm Blakeley White-McGuire, current Principal Dancer with the Martha Graham Dance Company, will offer a free movement workshop for all ages titled Cultivating Physical Presence. During this workshop participants will be presented with opportunities to explore performance through basic movements such as walking, standing, running and skipping. Participants will connect some dynamics of motion – stillness, rhythm, flow and chop with the emotion from and to which it comes. Comfortable clothes and shoes are suggested. Reservations for Cultivating Physical Presence on Saturday May 3rd at 2pm are free but required. Click here to make a reservation. At 3pm, Laura Rozenberg, local artist originally from Argentina, will teach participants how to create a recycled material garden out of plastic bottles. This workshop is for ages 7 and up. Participants should come with recyclable plastic bottles. All other materials will be provided. Reservations for Recycled Plastic Bottle Garden on Saturday May 3rd at 3pm are free but required. Cick here to make a reservation. 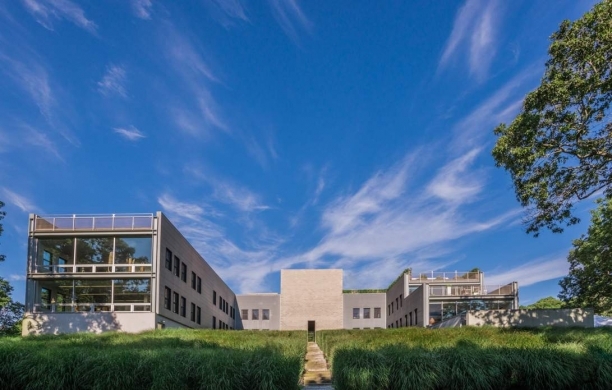 At 3pm, The Watermill Center invites the public to explore Robert Wilson’s arts center in the Hamptons by way of a walking tour of the building, grounds and gardens. For more information about The Watermill Center Tour please contact Kirstin Kapustik at (631) 726-4628 or kirstin.kapustik@watermillcenter.org. Click here to make a reservation. At 4pm, after 4-weeks of research at the center, Fanni Futterknecht and Marianne Vlaschits will present Metamorphic a performance installation set in the gardens of The Watermill Center. For more information on Fanni Futterknecht and Marianne Vlaschits and to make a reservation for Metamorphic please click here.